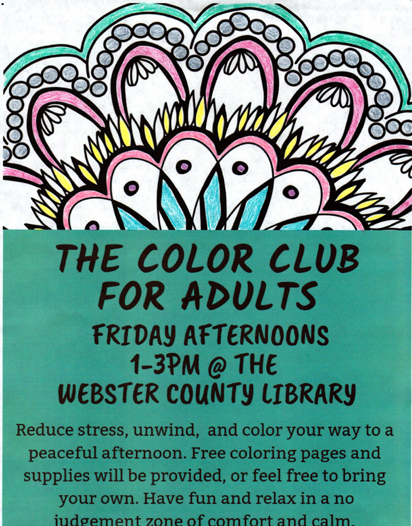 The Color Club for Adults Friday Afternoons 1 - 3 PM Webster County Library Reduce stress, unwind, and color your way to a peaceful afternoon. Free coloring pages and supplies will be provided, or feel free to bring your own. Have fun and relax in a no judgement zone of comfort and calm.